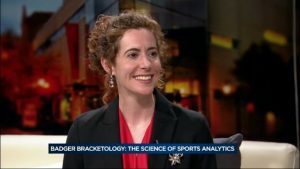 Badger bracketology will be talking about March Madness on March 14! I will be talking about bracketology, March Madness, and the College Football Playoff on Tuesday, March 14 at 7:30 pm in the H.F. Deluca Forum in the Discovery Building on the University of Wisconsin-Madison camps. I hope to see you there!